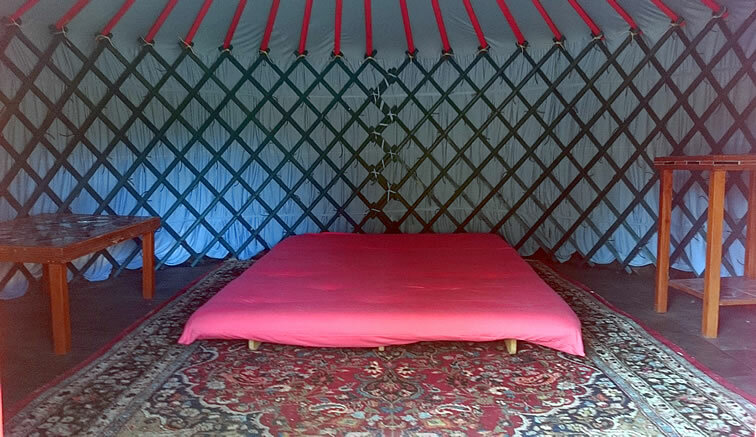 the traditional Mongolian nomad tent ? 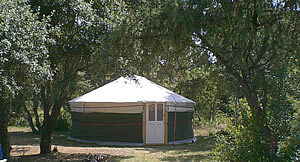 A Yurt is a big family or group-sized tent that’s as comfortable and cosy as a duck-down lined nest. 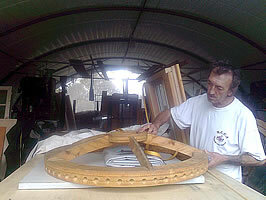 Its circular shape keeps it in harmony with almost any natural surroundings. It’s the ideal place to relax, and with the roof opened you can sleep inside but under the starry sky. It’s vast, open space gives plenty of room for visitors to lay out their sleeping area. Screens are available to create privacy if required. An economic and social way of enjoying the nomad tent. 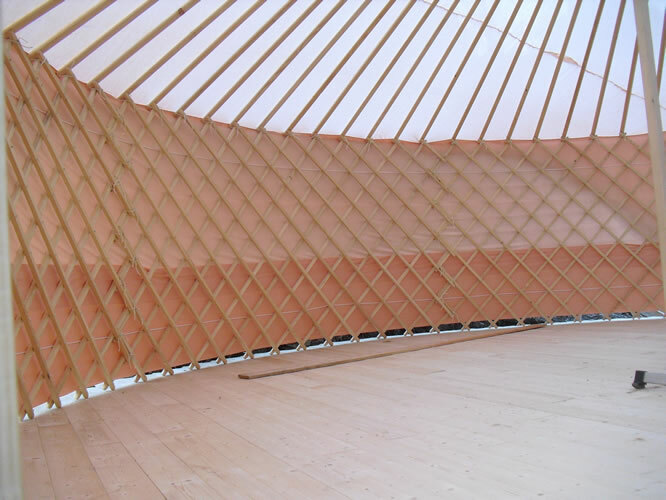 Furnished like a room in a small hotel, an individual Yurt is the ideal way to for small families or groups of friends (more information) appreciate this unique style of accommodation. 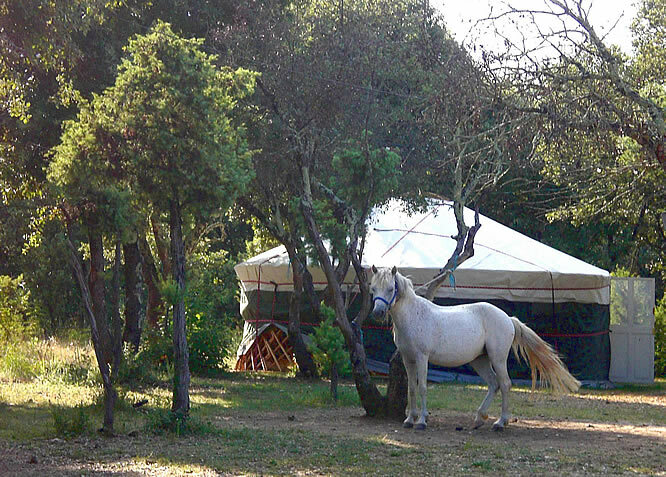 You will have a water point close by, and access to the shower and cooking facilities in the sanitary block. 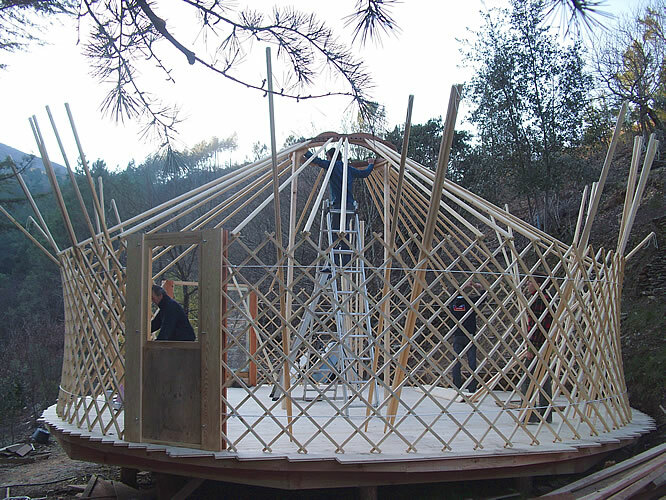 The Yurts are designed and hand-built by us here on site. They can be used all year round, being well insulated, light and airy inside. 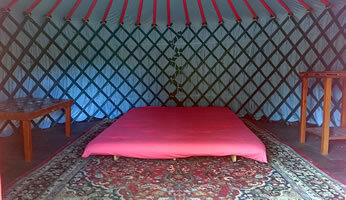 For safety reasons, smoking, candles and naked-flame heating are not permitted in the Yurts.